Marmelade : A framework to port any C++ code to Android,iOS,BlackBerry or Windows. Without overhead or less performance, they claim. Hard to believe, but okay. Application Developer Alliance : A community where you find everything you need to know about building,funding and distributing webapps or mobile apps. Free membership for now, so subscribe! Further there were also : Sencha, Unity 3D, Evernote,TenCode and many more. This took pretty much the whole evening, and was interesting. Excited to start the real work tomorrow at 10.30 a.m. more coverage to come ! 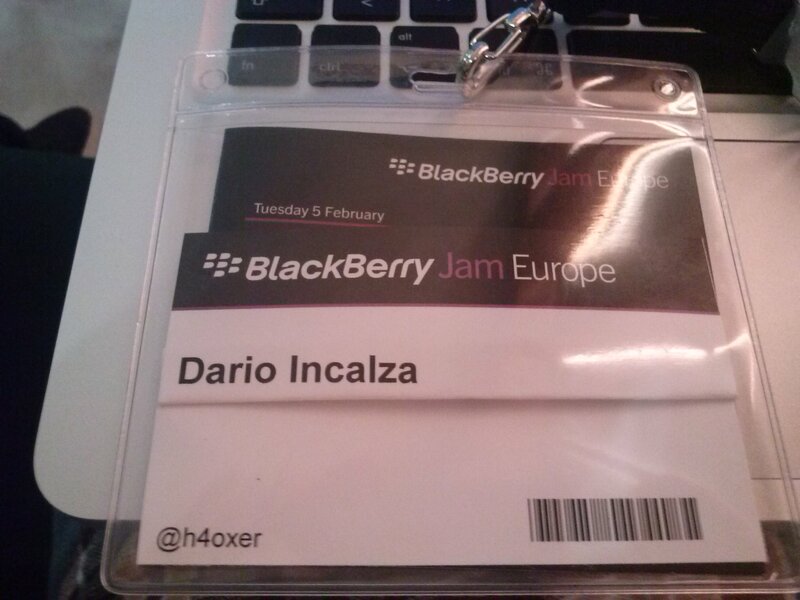 Keep an eye out on twitter if you want to know my thoughts and things live on BlackBerry 10 Jam Europe 2013, Amsterdam.